“Swing” by Style Me Pretty Living Today! “Swing” by Style Me Pretty Living today to see the full feature of this 1920’s inspired party we had the pleasure of planning and designing!! We were approached by Montana just over a month before her 30th birthday was to take place to help bring to life a vision she had for her celebration. 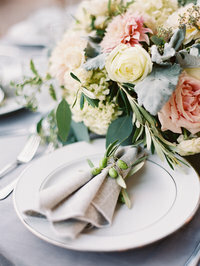 A seemingly daunting task in such a short amount of time, we fully embraced her wishes for an elegant 1920’s party that exuded style and sophistication while still being incredibly fun. The team of vendors that were quickly assembled were some of the best in the industry which made for an epic experience. The weekend-long celebration culminated in the party of all parties. The birthday girl sparkled in a sequin Monique Lhuillier gown and Coady Culha jewelry. Guests in period-attire gathered in front of 1920’s cars for photos by Elizabeth Messina during cocktails and then were invited to Villa Sevillano’s lower lawn for dinner. 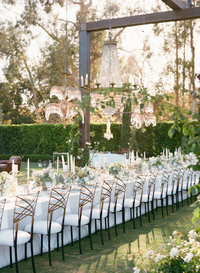 Large-scale vintage chandeliers were hung in trees on the property, over the vintage bars from Barn Relic and of course, over the dining table on which was served an incredible dinner from Heirloom LA. Candles and flowers from Flowerwild graced all surfaces, a custom covered dance floor brought in from Bella Vista Designs echoed the time period and welcomed guests to dance to the sounds of West Coast Music’s custom created band. For those not dancing, lounge furniture from Found, was the perfect escape. 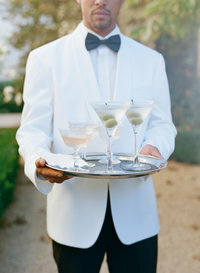 Champagne and cocktails flowed late into the evening thanks to the skilled bar tenders at Simply Cocktails SB and guests, exploring the paths around the Villa, found themselves in a speakeasy that kept the party going until the early hours of the morning. Overall, quite a success and I’m sure the guests are still talking about this one! Make sure you take a peek at the film from Lola Video! It will make you wish you had had an invite! Happy Birthday Montana! « From our Intern, Kristen: What Will I Take Away?